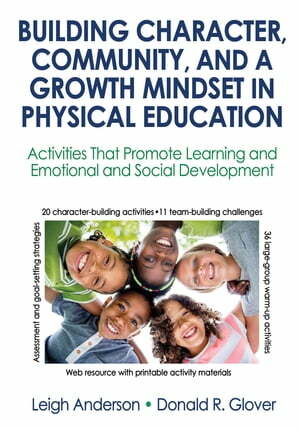 Collins Booksellers - Building Character, Community, and a Growth Mindset in Physical Education by Donald Glover & Leigh Anderson, 9781492548287. Buy this book online. Building Character, Community, and a Growth Mindset in Physical Education offers more than 60 large-group warm-up activities, character-building activities, and team-building challenges. The book, which comes with a web resource, will help you prepare students for success in college and beyond.